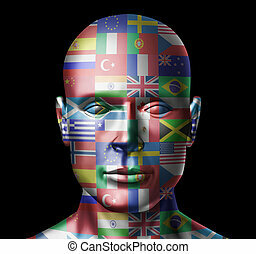 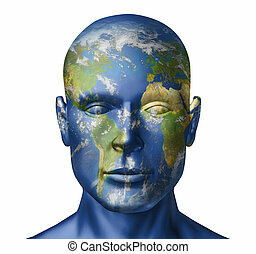 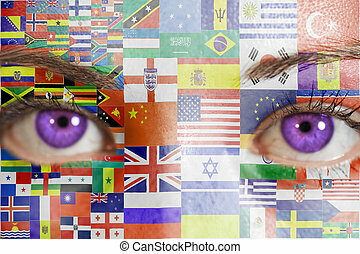 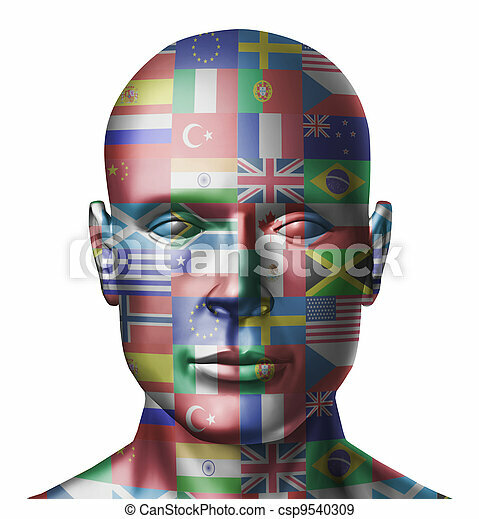 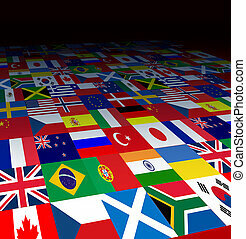 World flags face representing global countries from around the earth on a human head showing the concept of international business and politics. 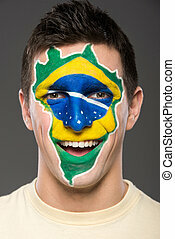 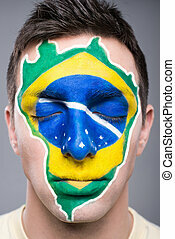 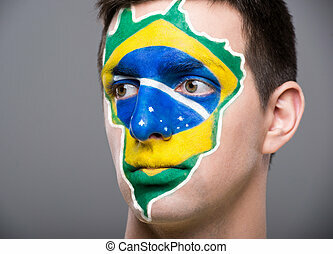 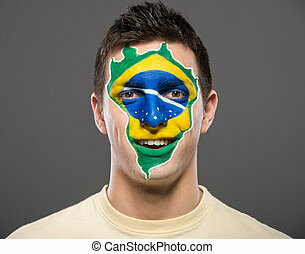 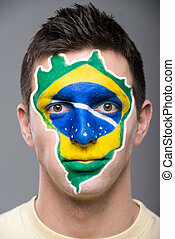 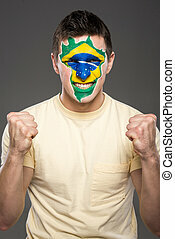 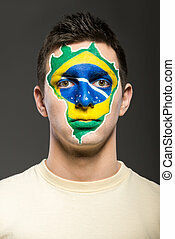 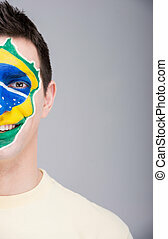 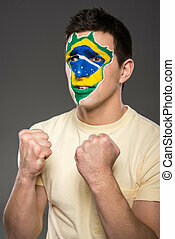 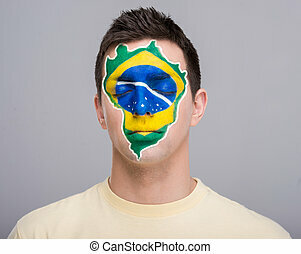 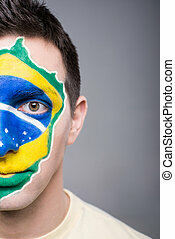 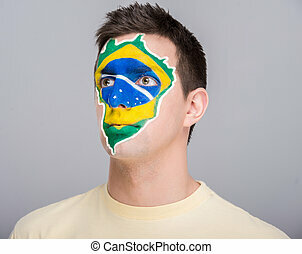 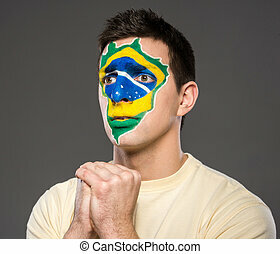 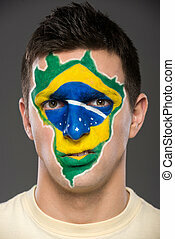 Portrait of young man with brazilian flag painted on his face. 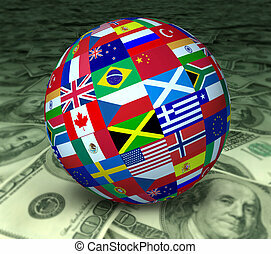 World economy symbol represented by a global sphere with international flags sitting on a floor of currency. 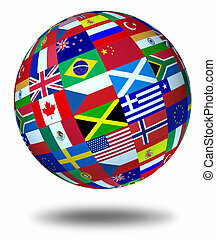 World flags sphere floating and isolated as a symbol representing international global cooperation in the world of business and political affaires. 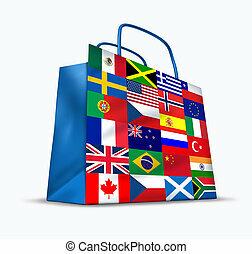 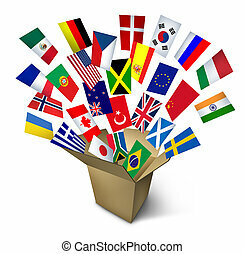 World trade and global commerce as an international symbol of business trading in exports and imports for the entire globe represented by a financial shopping bag with flags from many countries from around the earth. 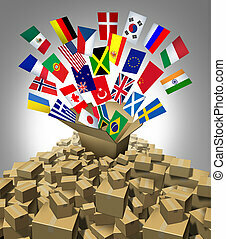 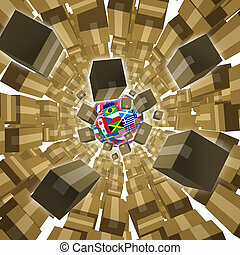 World package delivery and international parcel shipping with a group of cardboard boxes flying in the air to a vanishing point to a sphere with flags of the planet earth as a symbol of fast service. 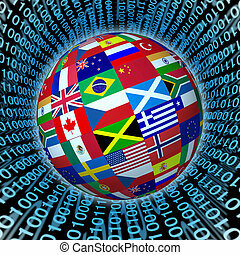 World time zone clocks with a Tokyo New York London and Moscow clock representing international business and the different times from around the world for travel and finances. 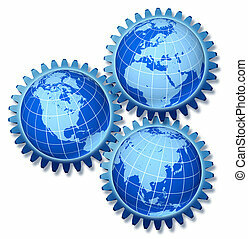 International economy symbol with three gears or cogs featuring America China Asia Africa and Europe connected together to work as a team. 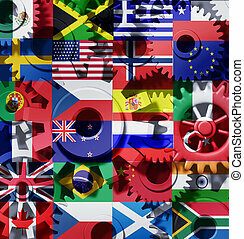 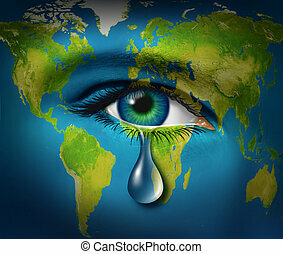 Global world economy machine with China and Europe in the center with gears and cogs and country flags of Greece Russia U.S.A. Canada Germany Brazil and Britain representing international industry.